Show Your Support for Team AB! Show your Team Alberta pride at the 2019 Canada Winter Games! Team AB apparel is now on sale. 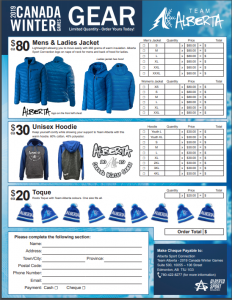 Click on the link below for a printable order form.